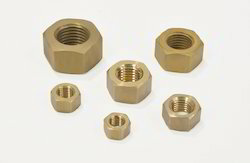 ISO 9001:2008 certified manufacturer of standard and custom aluminum nuts. With marvelous specialization in this field, we are manufacturing a qualitative collection of Aluminium Sprocket Nut. Superior finish Easy installationHigh strengthPrice: Approx 250 Rs to 450 Rs per Kilogram per weight and quality. Driven by vision to achieve significant growth in the industry, we are engaged in manufacturing a wide range of Aluminum Hex Standoff. In order to meet excellent quality standards, we are supplying Aluminium Hex Nut. 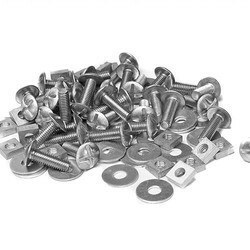 We are amongst the most reputed names in the industry, offering Aluminum Hex Nut.